ABU to release statement on Melaye’s certificate scandal today – Royal Times of Nigeria. The Management of Ahmadu Bello University Zaria has said it would on Wednesday release a statement addressing allegations that Senator Dino Melaye did not graduate from the institution as claimed, Punch reports. Online news platform SaharaReporters had alleged that Melaye had no degree in Geography as he had claimed, while stating that he paid his former HOD to obtain a result. 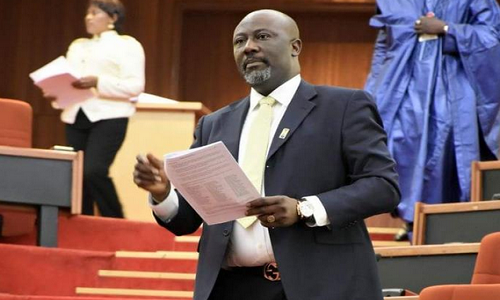 However, Melaye has denied the allegation, claiming that he was already doing his third degree in the same institution. During plenary on Tuesday, former majority leader of the Senate, Ali Ndume had called on the Senate to investigate the allegation. He said previous certificate scandals involving members of the National Assembly were probed by the lawmakers. The Deputy President of the Senate, Ike Ekweremadu, who presided over the plenary, referred the matter to the Committee on Ethics, Privileges and Public Petitions to report back in four weeks.